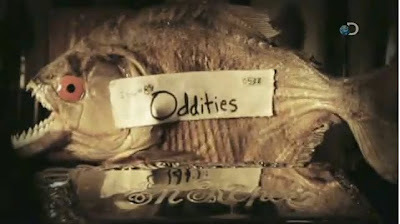 We at Morbid Anatomy are very very excited about tonight's viewing party for our new favorite television series, "Oddities," which you might recall from this flurry of recent posts (1, 2, 3). The "Oddities” Marathon and Party event--which will take place tonight at Observatory--will feature a four-episode marathon of the program, special drinks, a DJed after party, and prizes and giveaways, including an early brass "lucky skull" Mexican ring from "Oddities" cast member and Against Nature proprietor Ryan Matthew, a variety of 3D anatomical puzzles generously donated by Kikkerland, and, of course, Obscura Tshirts. The "cast" of "Oddities" will also be on hand for questions and comments. You can see some clips (recommended!) and find out more about "Oddities" by clicking here. Full details follow. Very much hope to see you there! On Thursday, December 9, you are cordially invited to join Morbid Anatomy and Observatory as we celebrate the new television series based on our favorite purveyor of curious and amazing artifacts, Obscura Antiques and Oddities in New York City’s East village. The evenings festivities will include–as a special treat for those of us without cable–a screening of the first three episodes of Oddities, which will reveal, to the discerning eye, an assortment of familiar Observatory faces, including former lecturers Evan Michelson and Mike Zohn as well as a variety of members of the wider Observatory community. There will also be special drinks, a DJed after party, surprise guests, and prizes and give-ways throughout the night. Members of the cast will also be available for questions and comments. To find out more about the event, click here. 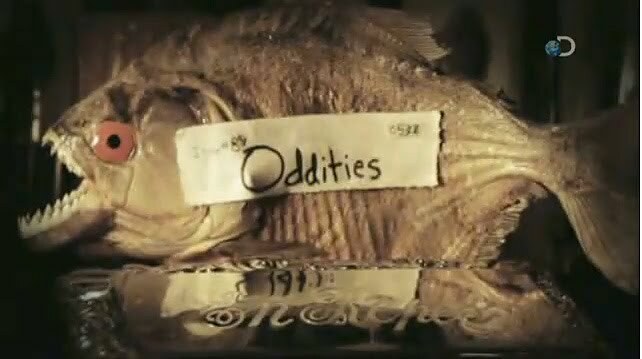 You can see some clips and find out more about "Oddities" by clicking here. You can get directions to Observatory--which is next door to the Morbid Anatomy Library (more on that here)--by clicking here. You can find out more about Observatory here, join our mailing list by clicking here, and join us on Facebook by clicking here.